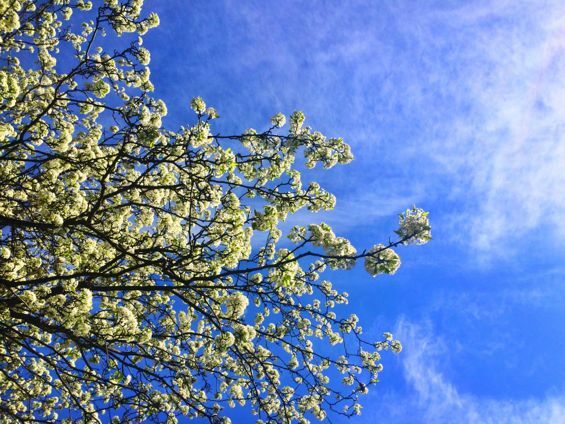 Maybe it’s down to the spring weather – finally! – but April felt like the month where I did…everything, basically. 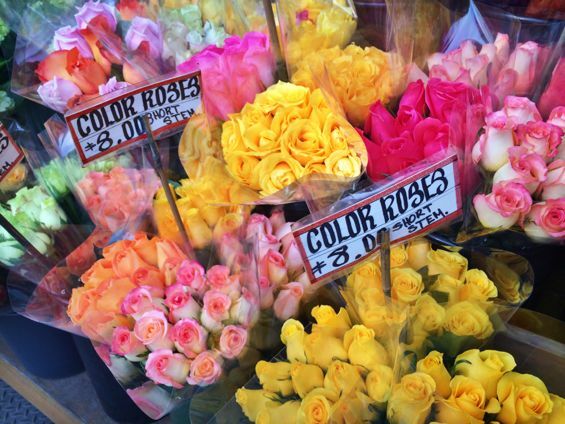 Saw all the plays, ate all the food, and took ALL the flower pictures (that last point cannot be emphasized enough). Oh, and logged all the hours at work, but we won’t get into that one here. 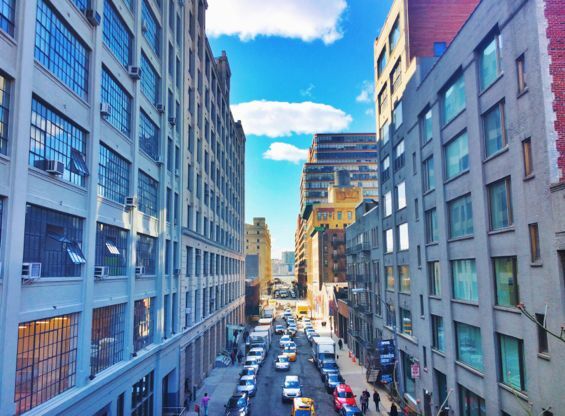 When the weather is great, one of my favorite things to do is walk the High Line (see: exhibit one, exhibit two, and exhibit three). I had a friend visiting from DC, and she had never visited the High Line, so I knew it was a must-do. Even though it was crowded on our visit – hell, it’s always crowded – it was a great afternoon and a beautiful day to visit one of my favorite spaces in Manhattan. 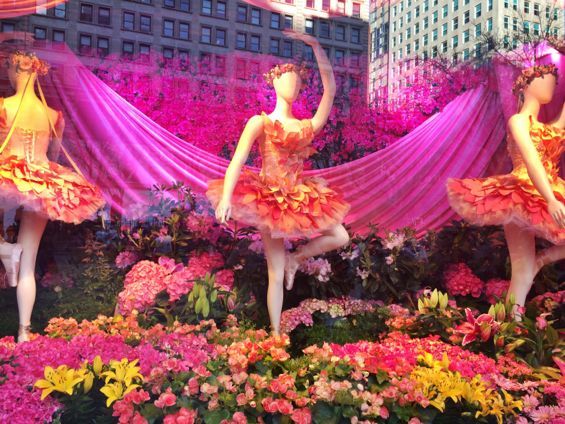 In other spring news, the windows at Macy’s were in full bloom for the Macy’s Flower Show. I cannot adequately explain how I adored these window displays – I think coming back to admire them will become a new yearly tradition, even more so than the Macy’s Christmas windows. 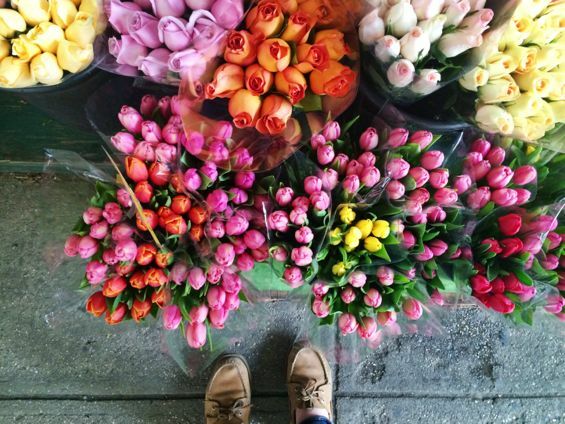 Speaking of flowers, they were everywhere this month. 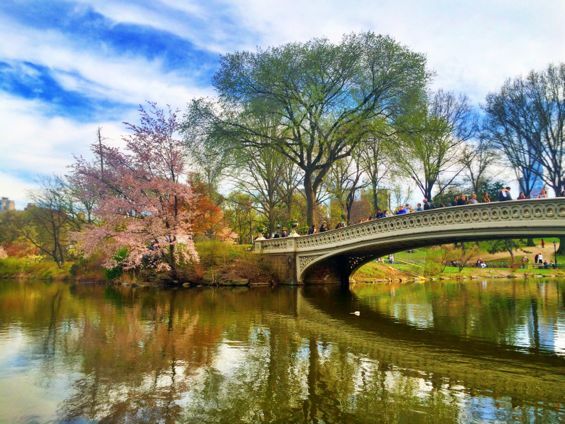 Walking through Central Park was a real treat; I feel so lucky that I live just five minutes from all this. 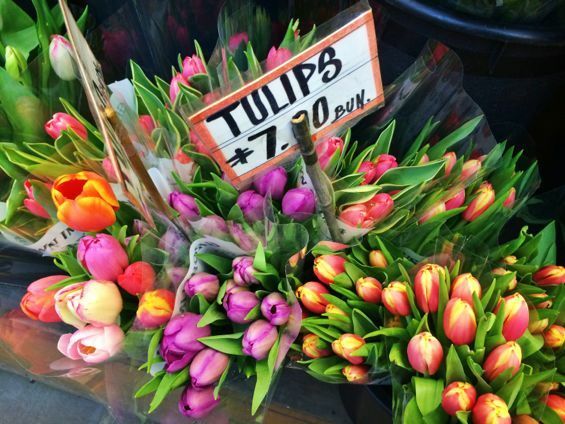 I didn’t have to go to the park to find flowers, though – they started popping up on every corner of the city this month, or so it seemed. 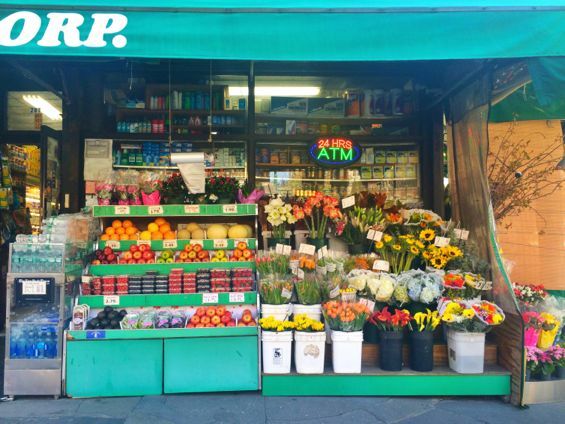 The tarps are off the bodega flower stands now, and it is glorious. 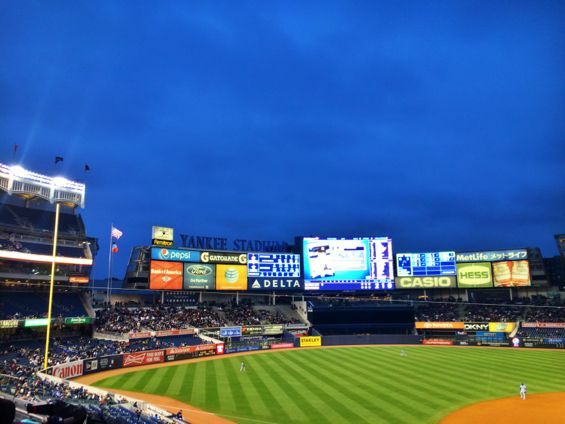 This month, I was lucky enough to score two free tickets to a Yankees game. We had great seats, and I was pumped because I had never been to a Yankees game before. There was just one problem: it was freezing. Like 30 degrees, with a light mist falling on us the entire game. Hooray! One of my favorite things about living in New York is the abundance of shows playing at any given moment. This month, I was lucky to see a bunch of good ones. First – and best – was The Audience with Helen Mirren. 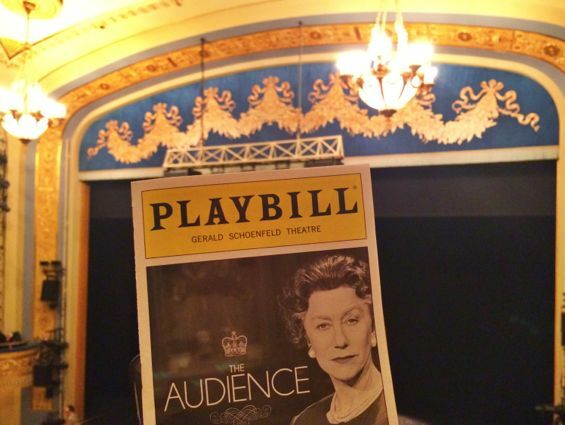 I’m so excited I got to see Mirren perform in person; she was, of course, impeccable as Queen Elizabeth, as were the actors playing each Prime Minister. 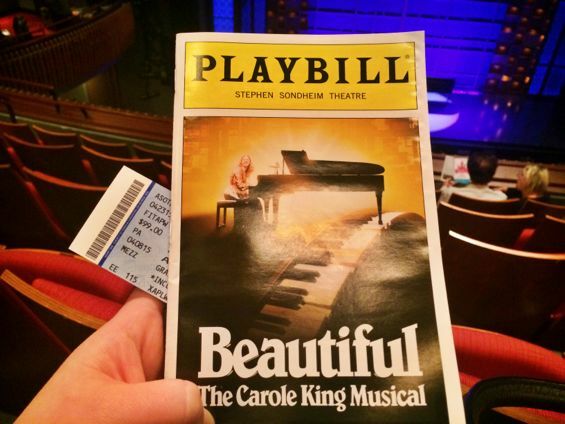 Another show I had wanted to see for a while was Beautiful, the Carole King musical. This one was staged so well – I loved all the colorful set pieces, and hearing all the old, familiar 60s-era songs was a treat. 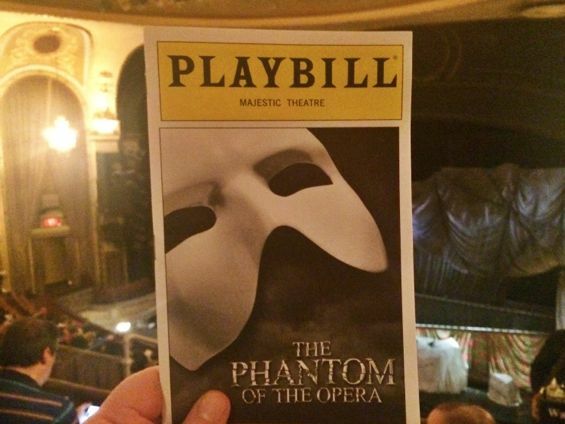 And, after a lifetime of listening to the Phantom of the Opera soundtrack, I know basically every word to every song – yet I had never seen it performed live. Now, I have. 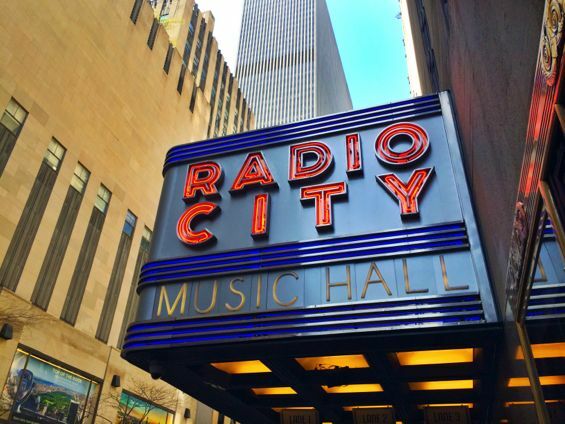 I also saw the Radio City Spring Spectacular with my family, who were in town visiting. 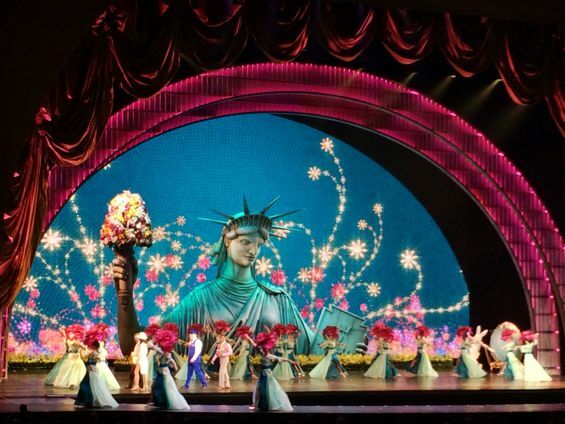 Though they may be cheesy, I’ve always wanted to see the Rockettes perform, so this was fun. I do need to get back at Christmastime, though. 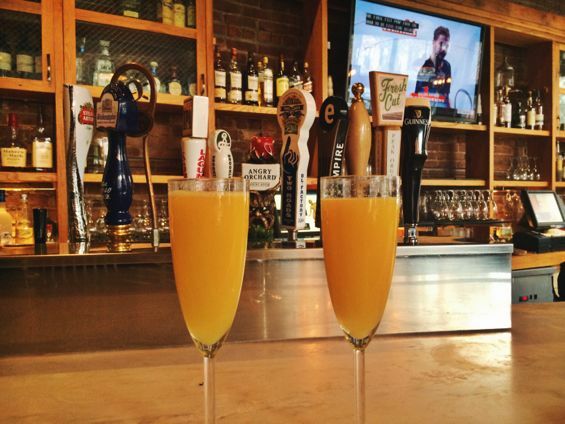 On Easter, I grabbed brunch with my BFF at Piquant in Brooklyn. 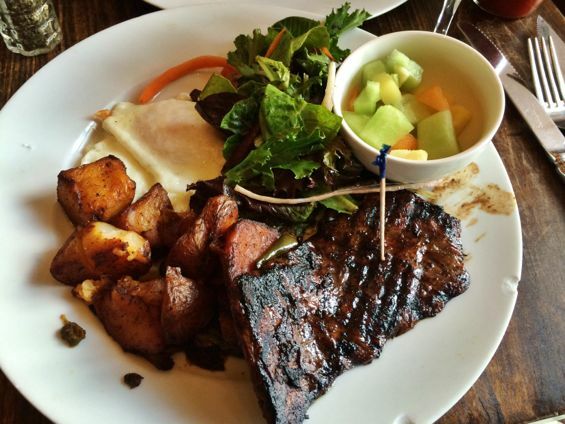 The food – I had steak and eggs – was alright, but the bottomless drinks were better. 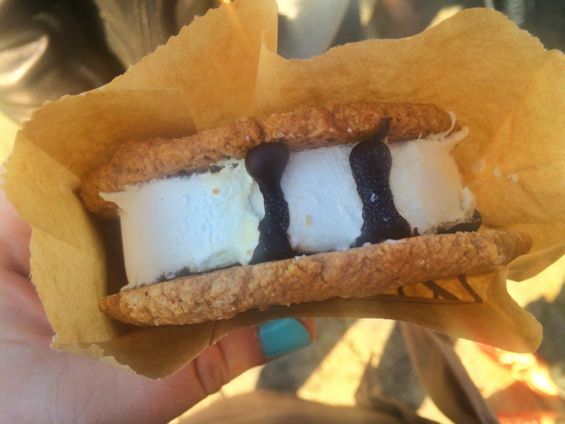 In other Brooklyn dining news, I visited Smorgasburg – twice. 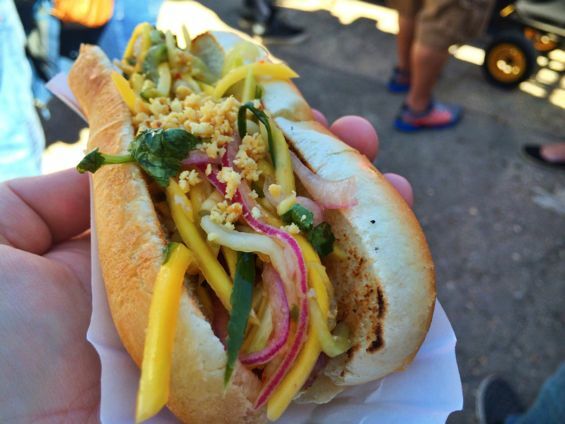 Favorites included a hotdog topped with Thai mango relish at Asia Dog and the ice cream sandwich from Good Batch. Along with my family, I went on a pizza tour in Cobble Hill with Scott’s Pizza Tours. 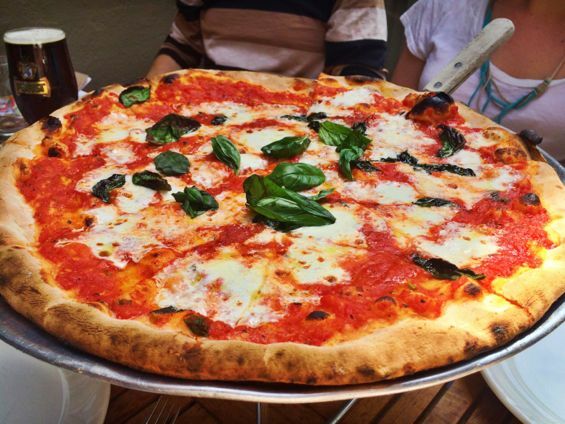 We sampled three slices and learned a lot about the Brooklyn pizza scene. 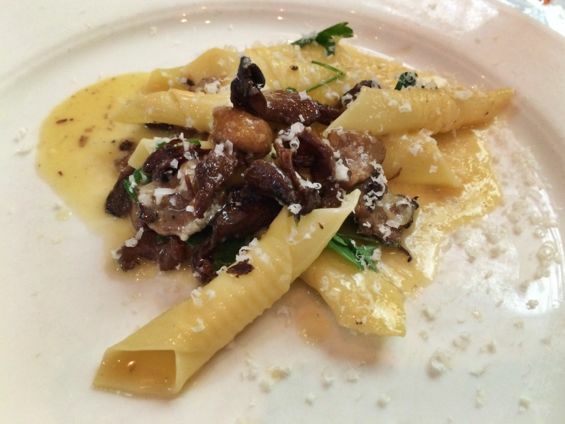 We also had dinner at Parm, which is my number one Upper West Side staple at this point. 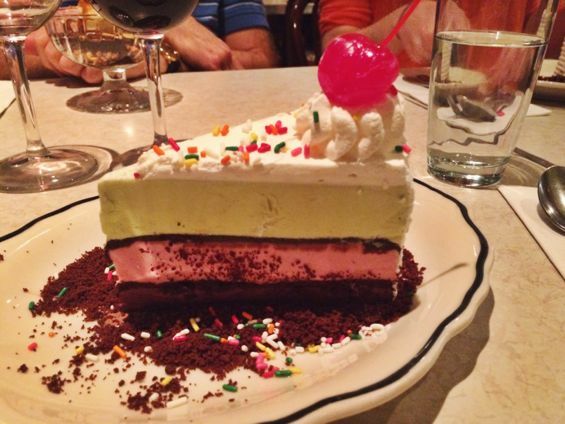 The entrees were good, as they always are, but the Neapolitan ice cream cake was what I was most looking forward to. Not only was it beautiful to look at, it was incredibly tasty. 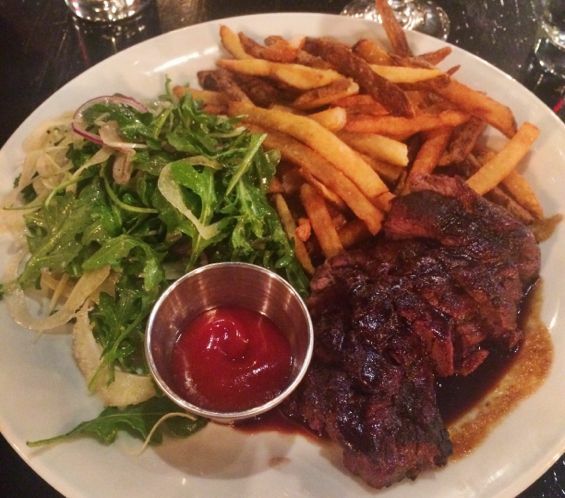 The Tipsy Parson is also becoming another NYC staple for me. 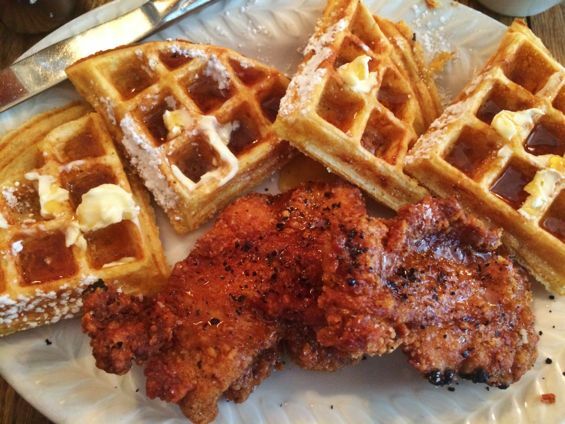 It is southern comfort food done right, and I love its location in Chelsea (perhaps because it’s right by Maison 140, one of my favorite little home décor shops). And finally, I grabbed a chocolate chip cookie at Levain, which is one of the few places in the city that I think is 100% deserving of the hype it gets. 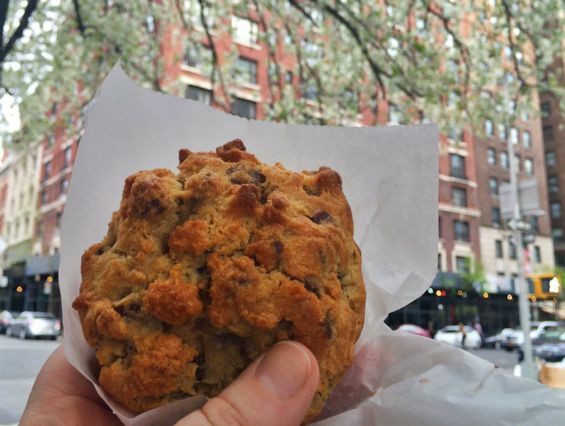 The lines here are always well out the door, and often way down the block, but the cookies are worth it. The chocolate chip with walnut never, ever disappoints – eat it warm for maximum gooey awesomeness. 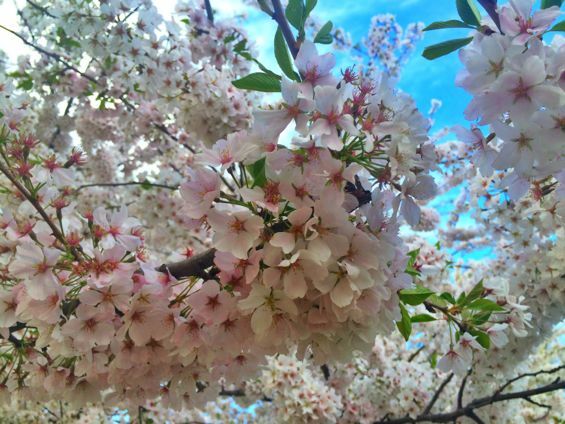 In summary: April was awesome, and flowers are my favorite (Levain chocolate chip cookies kind of are too). May, you are on notice.